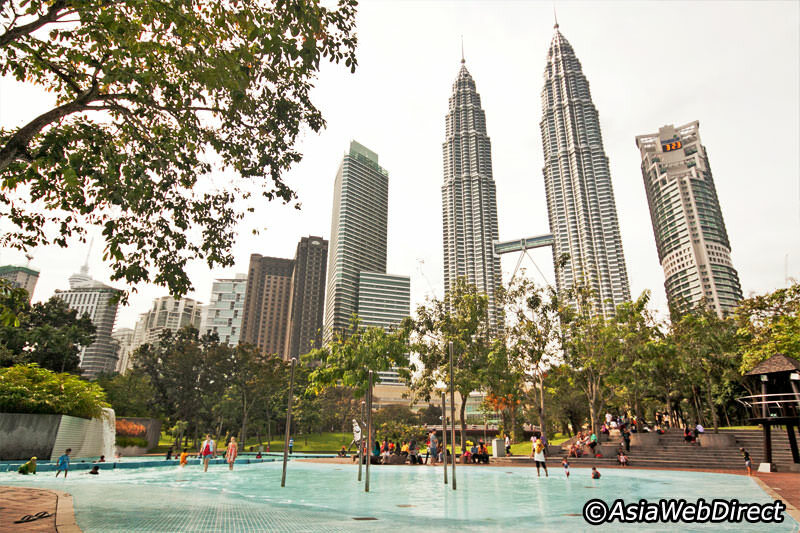 Kuala Lumpur City Centre Park | JustRunLah! Run in this tropical sanctuary away from the bustling commercial hub of Kuala Lumpur. 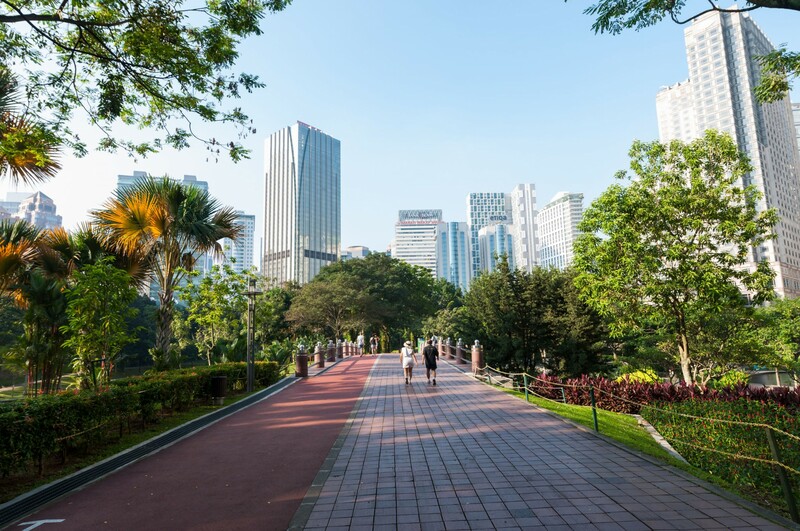 Kuala Lumpur City Centre Park (KLCC Park) is a 50-acre garden set against the skyscrapers of Kuala Lumpur. Designed by Roberto Burle Marx, it was designed to provide a touch of greenery for the Petronas Twin Towers and the areas surrounding it. Besides the over 1,900 indigenous trees from 74 species in the park, there is a 10,000sqm man-made lake — Lake Symphony, with a 43m bridge that cuts across. Lake Symphony is a giant water playground; it is also the highlight of the park. There are water fountains that can shoot water up to a height of 42m. The daily water shows occur at noon and in the evenings and are popular with kids. You can run loops around the 1.3km-long jogging track in the park, which is labelled by 100m distance markers. 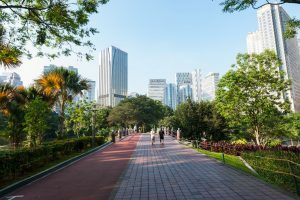 KLCC Park is a beautiful park to run in, where you can enjoy the view of one of the tallest buildings in the world — the Petronas Towers.